Another type of interlock system that prevents the driver from leaving without the tiller operator requires the weight of the tiller operator in the tiller seat to activate the transmission. 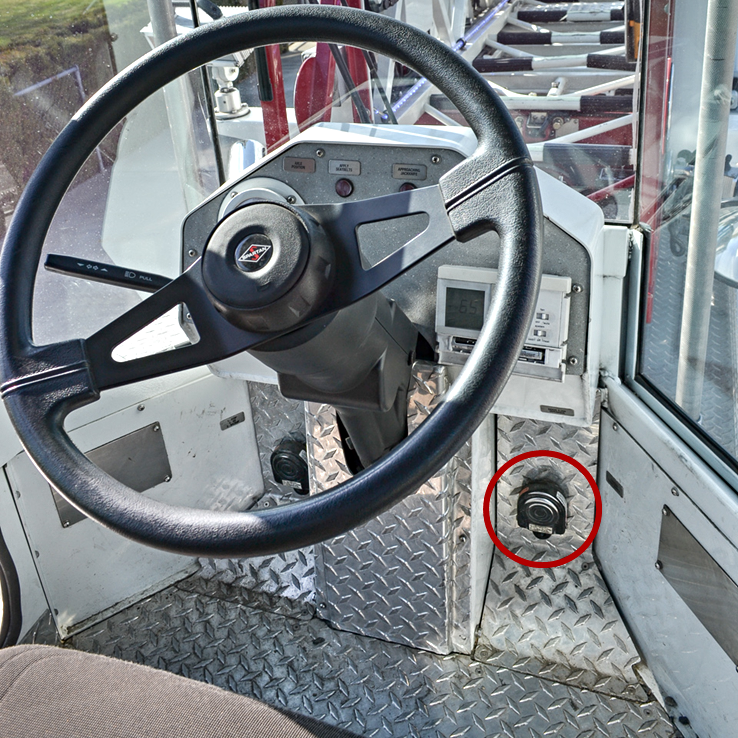 The driver cannot shift the transmission into drive/reverse until the tiller operator has activated the foot pedal switch. Once the apparatus is in drive/reverse the tiller operator is now able to take their foot off the pedal. Anytime the transmission is placed back into neutral it will require the tiller operator to press on the pedal to again activate the transmission. When an alarm comes in and the driver wants to start the apparatus as the crew is making their way to the rig. In cold weather the driver wants to start the apparatus to get it warmed up. The driver wants to start the apparatus to turn on the generator for scene lights. The driver needs to move the apparatus at an emergency scene a couple feet. For example, the driver comes back to the apparatus at a medical call while the crew is attending to a patient. The driver needs to move the apparatus a couple feet to make room for the medic rig responding in (as long as the driver verifies that the tiller wheels are in the in-line position this is possible). The driver needs to set up the aerial but the rest of the crew is already engaged in other tasks. All of these functions would not be possible with one person because this design requires two members to start the apparatus.